Servicing engineers are fully qualified BAFE Registered Technicians We pride ourselves on the high standard of our Manchester Fire Extinguisher Servicing and we will be happy to provide Manchester-based references who will vouch for the standard and cost-effectiveness. We carry out service maintenance to all types of Fire Extinguishers and Fire Hose Reels across Manchester and the North West. Our engineers cover the whole of the Manchester area. You will find our endeavour to meet your Manchester Fire Extinguisher Servicing needs refreshing and our customer service levels a lot of our new business derives from the personal recommendation of existing Manchester Fire Extinguisher Servicing clients. 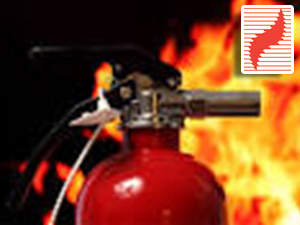 Surefire Protection Manchester and Stockport have been supplying Fire Extinguishers in Manchester, Stockport and Tameside for over nineteen years. We carry out Fire Extinguisher servicing to all types of Fire Extinguishers and Hose Reels across Stockport and surrounding areas including Tameside, Hyde, Glossop, Cheadle, Bredbury, Wilmslow, Bramhall, Hazel Grove, Reddish, Heaton Moor, Levenshulme, Marple, New Mills, Chapel, Buxton and across all areas of the High Peak. In order to advise you of the most cost-effective solution to your Manchester, Stockport and Tameside Fire Extinguisher Servicing requirements, Surefire Manchester and Stockport technical staff will undertake a free survey of your premises in the Manchester, Stockport and Tameside area. We will provide you with a guaranteed same day quotation and information on the range of services that we offer. 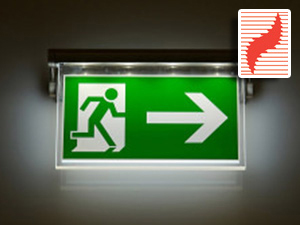 Surefire Manchester, Stockport and Tameside Combining Fire Extinguisher Servicing with Fire Alarm Servicing and Emergency Lighting TESTING & Maintenance. 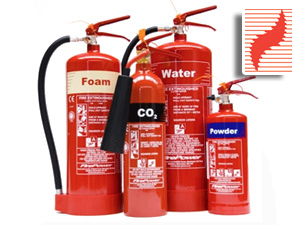 A range of Surefire Protection Manchester Fire Extinguisher Servicing Plans are available we will happily explain the full range of Manchester Fire Extinguisher Servicing options that are available. Surefire Protection UK Ltd Manchester offers a service contract and annual maintenance visit, includes small items, such as pins and tags. Unlike many companies, We will always give you a cost for additional units or parts prior to any work. Our BAFE engineers come to your premises at a convenient time to suit you and at the most competitive prices. In order to ensure portable units are working properly, fire extinguishers need to be serviced on a regular basis. This ensures that they are up to date. 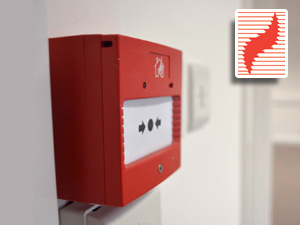 With a fire extinguisher that is regularly maintained, you will have fully functioning fire equipment when you need it and is therefore essential. All our engineers who visit your premises will be BAFE (British Approvals for Fire Equipment) trained professionals and all our services are to BS5306 standard. That means you can be assured that your equipment is in excellent working order, and we will provide a certificate to help you prove that to your insurance company. we also clearly label your equipment so that you know you are up to date with your servicing.